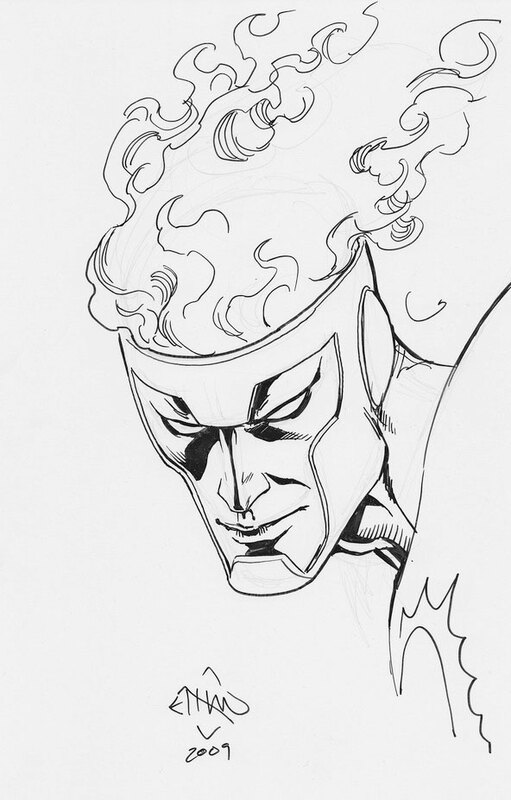 Below is a recent sketch by Ethan Van Sciver of the Ronnie Raymond Firestorm. This sketch comes to us courtesy of xanderharris on Twitter. Posted in: Ethan Van Sciver, Firestorm #01: Original (Ronnie/Martin), Sketch/Art.